The Rope is at least 100 years old, here is the video on making it. Excellent pen and I also really liked the video. Well done. Hehe, I thought you were going to show how the rope was made! I like watching those old videos of manufacturing. 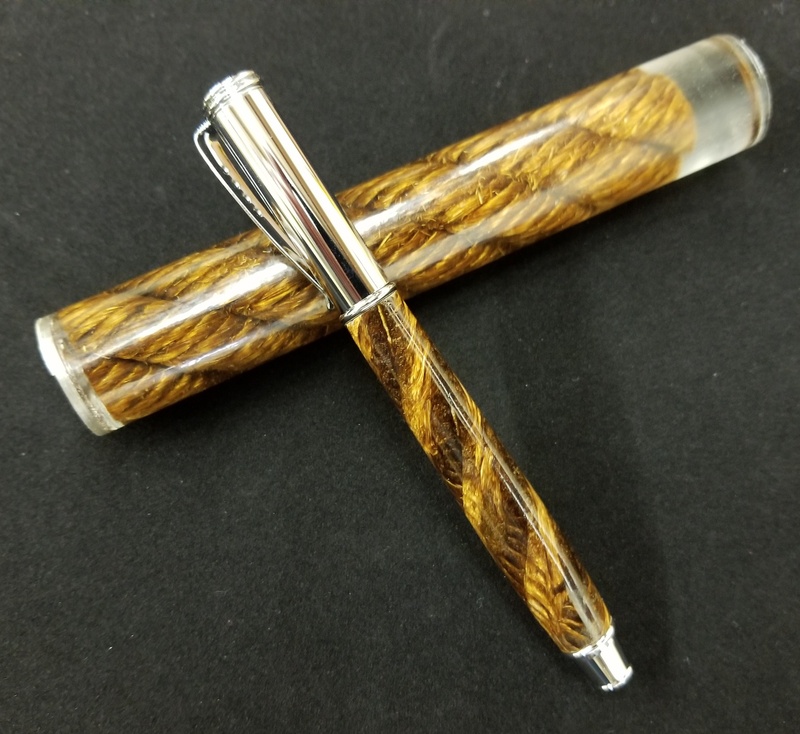 Nice pen and great process and video. At first I was wondering how you were going to centralize the rope in the mold but then I saw how big the rope was and knew that wasn't going to be the process. I'm really surprised the fibers did not pull apart. Cool idea, great looking pen, very nice work! Thanks for the video too! Nifty idea ! . Rather neat looking pen !! Thanks again, it was fun making it.